A new analysis of the chemical make-up of meteorites has helped scientists work out when the Earth formed its layers. The research by an international team of scientists confirmed the Earth’s first crust had formed around 4.5 billion years ago. The team measured the amount of the rare elements hafnium and lutetium in the mineral zircon in a meteorite that originated early in the solar system. “Meteorites that contain zircons are rare. 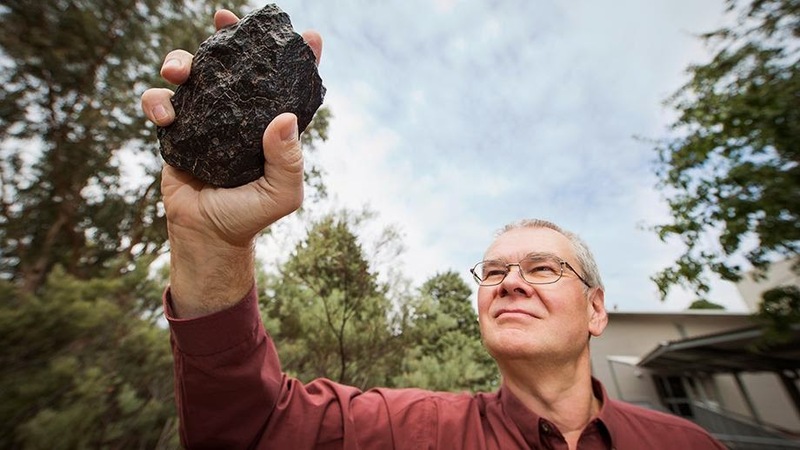 We had been looking for an old meteorite with large zircons, about 50 microns long, that contained enough hafnium for precise analysis,” said Dr Yuri Amelin, from The Australian National University (ANU) Research School of Earth Sciences. The heat and pressure in the Earth’s interior mixes the chemical composition of its layers over billions of years, as denser rocks sink and less dense minerals rise towards the surface, a process known as differentiation. Determining how and when the layers formed relies on knowing the composition of the original material that formed into the Earth, before differentiation, said Dr Amelin. “Meteorites are remnants of the original pool of material that formed all the planets,” he said. The team accurately measured the ratio of the isotopes hafnium-176 and hafnium-177 in the meteorite, to give a starting point for the Earth’s composition. The team were then able to compare the results with the oldest rocks on Earth, and found that the chemical composition had already been altered, proving that a crust had already formed on the surface of the Earth around 4.5 billion years ago. Note: The above story is based on materials provided by Australian National University.